201 Sunrise Bluff Ln, Isle of Wight County, VA 23430 (#10242430) :: Abbitt Realty Co. 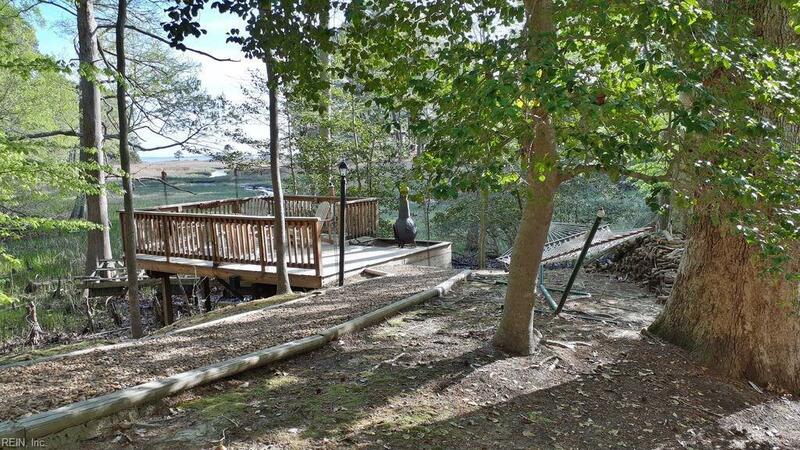 Almost 1 acre waterfront lot with own peninsula & amazing views of marsh & James River from private dock. Nature lovers dream! Walk through woods on lighted path & relax in hammock by serenity of marsh. Landscaping designed by master gardener specifically for low maintenance. Inground 7-zoned sprinkler w rain monitoring feature. Large shed w electricity. Encapsulated crawl space w dehumidifier. 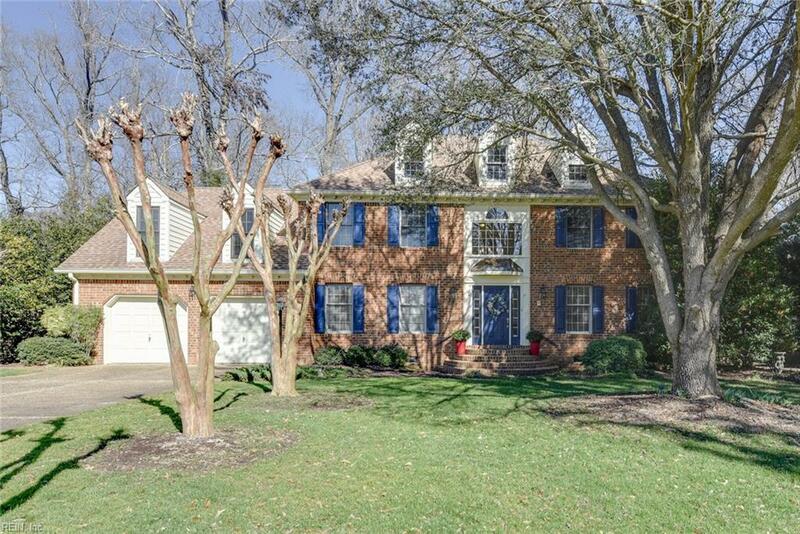 In sought after neighborhood of Gatling Pointe. 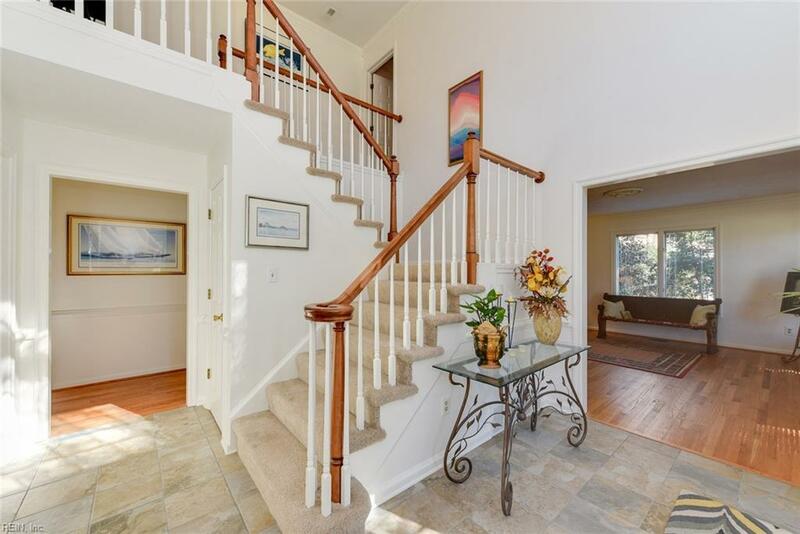 Just a short walk to yacht club, marina, pool, playgrounds & tennis courts. 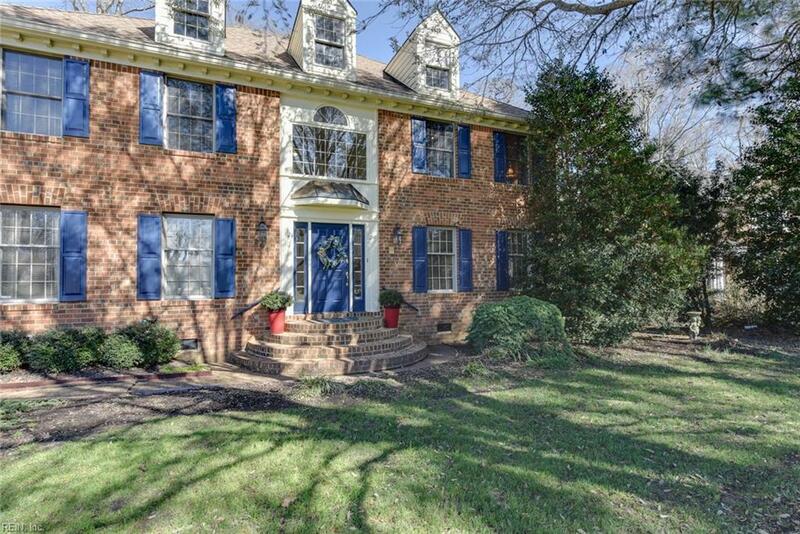 Impeccably cared for home with recent professional updates like fresh paint throughout, new light fixtures, new carpet & refinished flooring, granite in kitchen & all baths, the list goes on. Grand 2 story foyer, Entertaining has never been easier, whether inside at wet bar, on large deck overlooking gardens, or on private waterfront deck with fire pit. Wine room on 1st floor has temperature controlled fans or could be used as a study or converted to 5th bedroom. Must see!